One of the many admirations I have for Saint Faustina (and truthfully ANY of the Saints) was her bravery. I marvel at the ability to act on the ‘Will of God’. There were critical moments, for all of them, to internally evaluate the choice God had presented. Each circumstance, different and unique in their own lived-out life; yet, each were called upon to make a Choice for themselves. And each, despite the doubt or difficulty involved, chose to take that brave step of trust! God strummed upon their hearts in ways they eventually heard. Have I been listening to the ways He has been speaking to my heart? These past two weeks God has presented me with 3 beautiful examinations (of conscious & heart,) to ponder. Each of the 3 have been a ticker-tape display of thoughts billowing down and around. #1 As I volunteered in a Ministry I am a part of I pondered: Do I use the gifts/talents God has entrusted to my care? Do I use them wisely? Enough? Do I nurture them? Share them? Or have they grown stagnant? Do I bravely claim them, use them, and glorify only God through them? 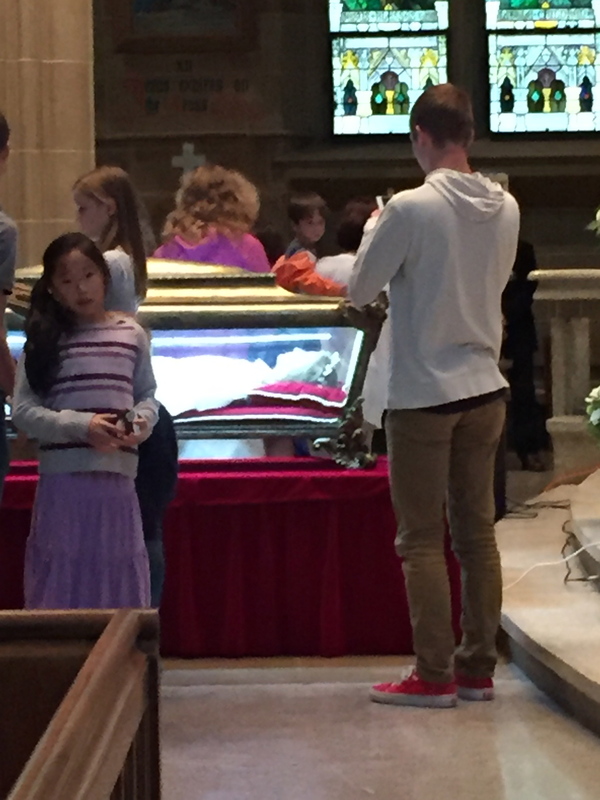 #2 Came as a result of recently spending some beautiful time with the relics of Saint Maria Goretti. 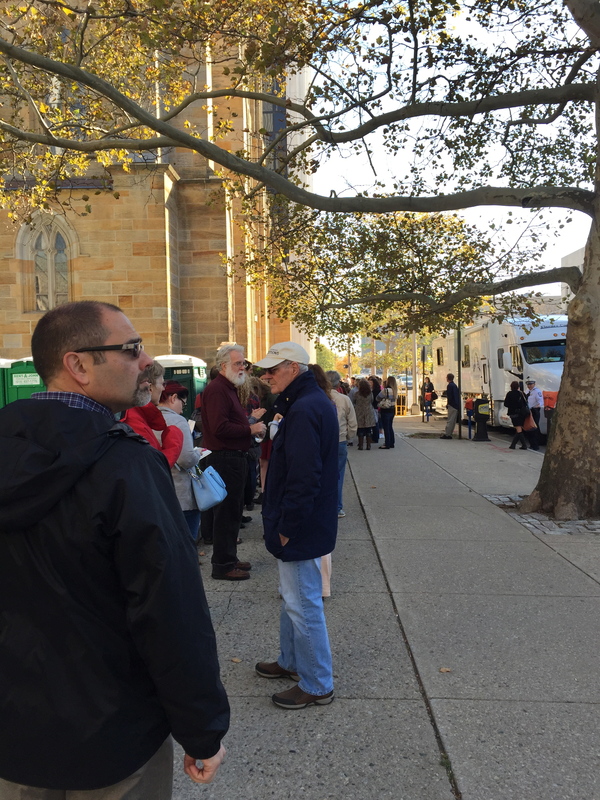 Her relics are currently on a tour throughout the United States for the first time as a Pilgrimage of Mercy, and Cuppycake & I spent some time with her during the scheduled stop in Columbus, Ohio. (Amazingly our daughter also shared in this grace when her parish in Chantilly, Va hosted St. Maria’s relics & also our eldest son as her remains made their way to Atlanta!) She is The Patron Saint of Purity and Forgiveness: Have I forgiven all the harm done to me? To my loved ones? Have I forgiven myself for the ways I’ve failed to be His representative? Am I pure in thought and deed toward others and self? Do all my actions represent pure intention of glorifying only Him? #3 While at a movie theatre viewing WOODLAWN: (God can be so imaginative and present Himself just about anywhere our hearts have been left open.) Several lines strummed my heart-strings but it all began with, “Sometimes old dreams must die for new ones to begin.” What HAVE I been dreaming of, Lord? Have I held on too long to dreams not meant to be fulfilled? Have I missed the ones You desire for me to complete? Will I trust you enough to believe this messy, sometimes cruel, all-the-while wonderful life You have given me has been a portion of what is necessary, to reach “The Real Dream” of being with You one day in Heaven? And suddenly I feel brave. #1 Love what has been given to you. (For if YOU love who God has created you to BE…gifts, lumps, bumps & all…you will generously give yourself away…unapologetically!!) Because God must love it…it was His GIFT for you! hugs n’ blessings to everyone stepping into their brave shoes! and bravely I practiced listening! A soul thirsting for God! Dawn Marie, I learn a lot from your writings. Very inspiring. So glad you brought us together. Dear Sweet Oneta! Thank you for your very dear words… I am humbled & honored to have you following me and the administration is sincerely mutual! Pingback: The Liebster Award Round Ten! | blabberwockying!